Cedar top with Indian Rosewood... 664mm scale. 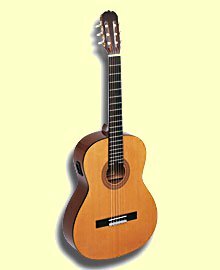 I purchased this guitar from a professional guitarist/dealer. He deals in fine guitars from Spain. 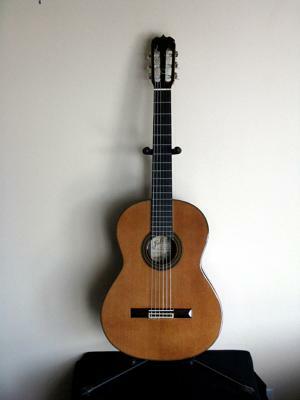 This particular one was owned by a private collector and was hardly played. I have been also very gentle with it as it has been my pride and joy. 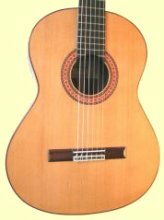 I purchased the guitar over a year ago, and have enjoyed it very much. Thanks for sharing, Richard. 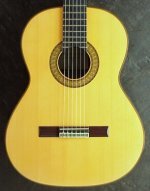 Click here to search for Jose Ramirez 1A guitars for sale online today. Join in and write your own page! It's easy to do. How? 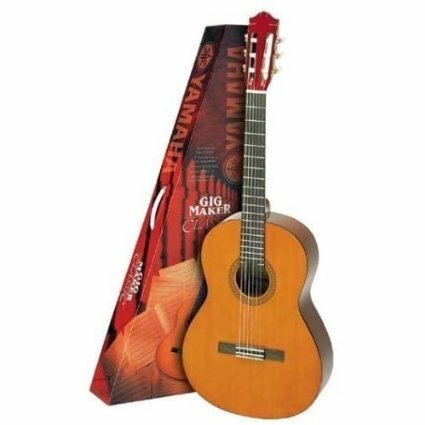 Simply click here to return to Classical Guitar Manufacturers.